Online reviews are massively important for businesses looking to improve their brand online and within their community. Today, over 80% of people trust online reviews as much as personal recommendations. 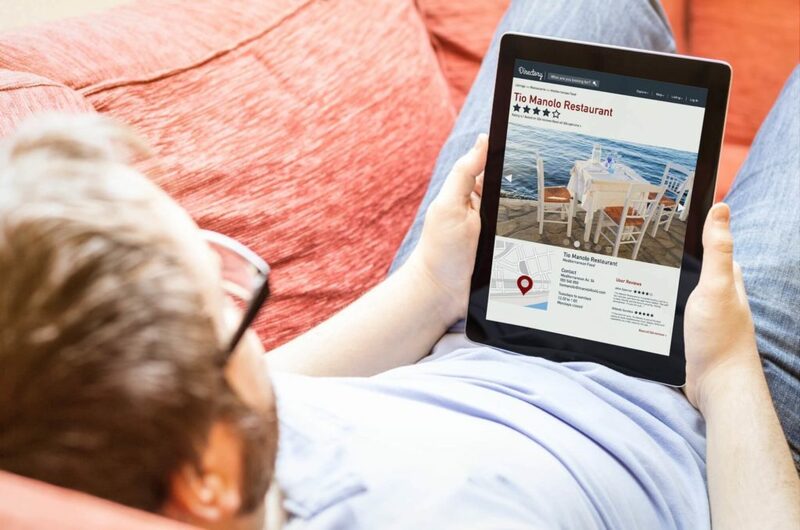 For this alone, online reviews are a major deciding factor when someone has a choice of going to or shopping at business A or B. Let’s take a look at two ways of utilizing reviews on your website. Reviews are not only good for customers, it’s good for your overall online presence. Online reviews are having a growing impact on search engine results and they have the ability to positively impact your search placement, especially in local search listings. Visibility on customer review sites (Yelp, Google, Facebook) is a major component that search engines value in their algorithm to determine your search relevance in the local market. Some search engines such as Google will also display your aggregate rating on their search results. Reviews are a dime a dozen online, but are they real? How can you trust the authenticity of the review without it including also including the source? Private Curated Reviews. Displaying privately curated reviews on your site is not a negative thing to do but the reviews should represent your brand well and be as authentic as possible. When displaying these type of reviews, make it to where the user can also easily submit the review on your website. This action alone adds value to your review process. In addition, the review should include some type of source or credible title of the reviewer. This could be their employment position or link to their personal website. When the review is from an anonymous source, this will, of course, present the possibility of doubt to the viewer. Source Driven Reviews. Source reviews were eluted towards above but also represents displaying reviews from 3rd party platforms such as Facebook, Google, and Yelp. There are many other platforms to embed from but the big three are of those mentioned. These reviews usually include the branding of the platform and a direct link to the reviewer’s post which cannot be altered from the business’s website displaying the review. For our WordPress users, we have a simple solution to displaying authentic and source provided reviews from the each of the major platforms – Facebook, Google, and Yelp. Our Testimonials Pro plugin does exactly that and also provides private curated reviews with a front-end submission form. Displaying reviews is the easy part; however, requesting them is the most difficult as you cannot require someone to actually do it. The customer needs to have a reason to leave a review whether positive or negative. This alone makes the task slow going. Most businesses will ask their customer on the way out to leave a review but have no way of encouraging them to complete it. Review Landing Page. Most customers, when asked, will leave a review. However, everyone is busy and leaving you a review may fall last on their bucket list for the day. Then it becomes forgotten as the days go by. One way to help this along is by using a review management service as an invitation or reminder tool. This type of tool gives you the opportunity to send an automated text or email message with your branding and direct link to a white label landing page. From here, you’re able to direct the customer towards your preferred review platforms with a quick How-To. Our Review Management service provides embeddable content such as QR codes, email signature links, and recent reviews with an aggregate rating badge right on your website. While generating new online reviews may seem daunting, the truth is it doesn’t have to be so difficult. Once you decide how much of a priority reviews are for your business, you can choose the steps you’d like to take to boost your online reviews. Beyond that, trust is everything. Customers want to believe the reviews showcased on your website are real and from a reliable source. They want to see and follow people that are had similar interest and the way to do that is by collecting new reviews on the platforms the customer uses. Most definitely, which is why my Testimonials plugin provides the necessary schema markup for rich snippets in search.